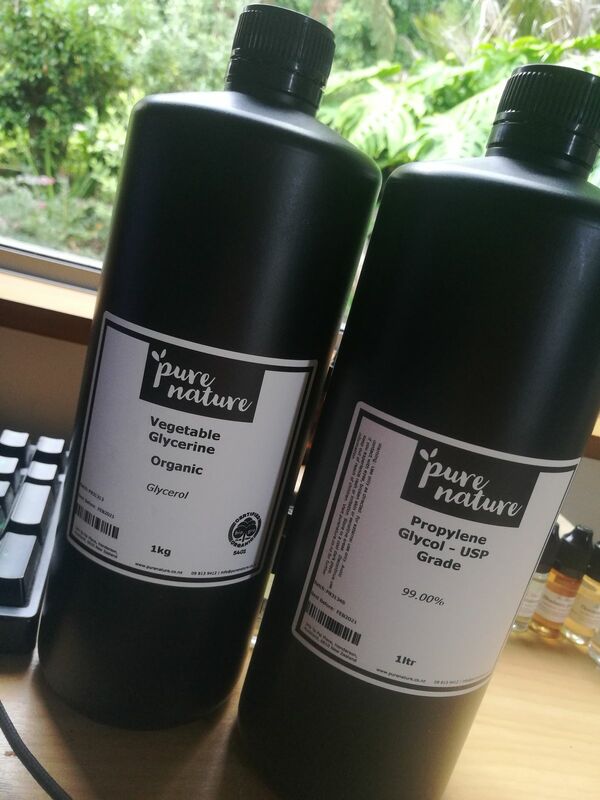 Vegetable glycerine is used as a humectant solvent and emollient in cosmetic formulations. This Glycerine does not contain any Palm oil derivatives, it is derived from certified organic non-GMO oils including corn and soy. It is Pharmaceutical grade, meeting the specifications of the United States Pharmacopeia (USP) and is supplied at minimum 99% purity (typically 99.6%). Rhonda H. Reviewed by Rhonda H.
TLBN T. Reviewed by TLBN T.
Great site for DIY E-JUICE VG/PG. Best on the market. Best site I have found so far for VG/PG, cheap price, quality product. IMO best on the market. Highly recommend! Excellent quality products at very reasonable prices well packaged and sent promptly. Look forward to my next purchase.